February 24th Show : Blog Of The Nation In the first hour of Talk of the Nation, single motherhood, Libya and Gasland. In the second hour, how the U.S. should respond to Libya, and pirate hijackings. New data from the Pew Research Center shows that of all new trends in family structures, Americans are least tolerant toward single mothers — women raising children without a male partner. 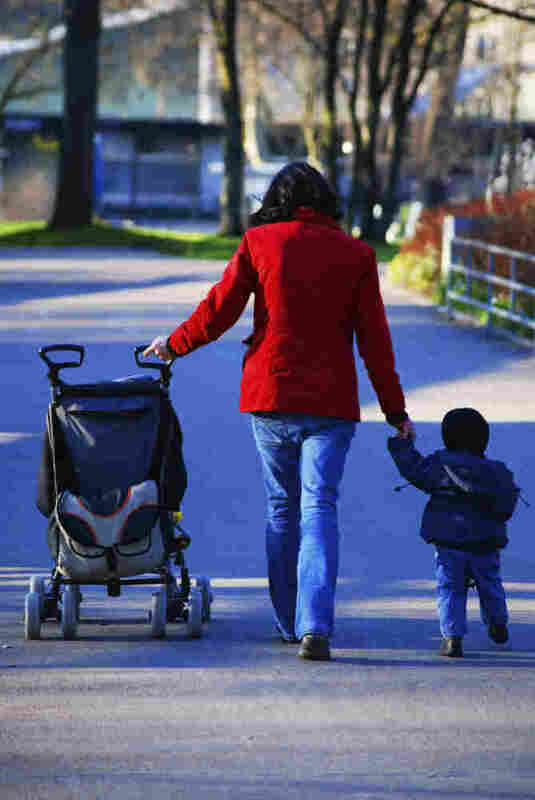 Neal Conan talks with Rich Morin, the senior editor at Pew, about what the survey shows, and with single mom and journalist Mary Pols about attitudes toward single mothers. Military units and militias in Libya today reportedly assaulted anti-government protesters in a mosque in Zawiyah, a town close to the capital, Tripoli. Today on state television, Gaddafi blamed the revolt on followers of al-Qaida leader Osama bin Laden. NPR's Tom Gjelten is on the Tunisia-Libya border and talks with host Neal Conan about the latest news from Libya. We conclude our series of conversations with the filmmakers behind the Academy Award-nominated documentaries with Gasland. The film focuses on the possible hazards of domestic natural gas drilling. Director Josh Fox sets out on a cross-country road trip to investigate, and meets dozens of families who've suffered from extreme health problems after leasing their land to drilling companies. In some homes, he finds tap water so contaminated that it can be set on fire. Host Neal Conan talks with director Josh Fox about the risks of hydraulic fracturing — known as fracking — and the final days leading up to Sunday's Oscar show. How Should The U.S. Respond To Libya? The continuing violence in Libya could escalate into an all-out civil war. Americans are debating what the U.S. can and should do in Libya. Should they negotiate an exit strategy with Libyan leaders? Should the U.S. and its allies enforce a no-fly zone or sanctions? Some, like Shadi Hamid, are advocating for the United States to continue its role as world's humanitarian police: intervening to support democracy and human rights. Others, like NPR commentator Ted Koppel, say the United States has a poor track record intervening in countries where it has little strategic advantage — especially in Africa. He's pushing for the U.S. to avoid Libya completely. Neal Conan speaks with them about how the U.S. can proceed in Libya. The four American missionaries held hostage and killed by Somali pirates on Monday were the first U.S. citizens to die in the growing wave of pirate attacks along the horn of Africa. Hundreds of hostages are believed to be held by pirates in Somalia, and the murders suggest that the traditional negotiation tactics in the region may need to be rethought. Neal Conan talks with Nikolas Gvosdev of the U.S. Naval War College about the options on the table to stop the pirate hijackings and what this murder means for future negotiations.